AKRON, Ohio - Heroin overdoses are skyrocketing across the U.S., especially here in Ohio. Nearly half a dozen people are likely to die from the drug. And now, kids are getting their hands on it, with dangerous consequences. Already this year, at least four Ohio children have overdosed. Three of them live in Northeast Ohio. The first people often called when that happens? The county social worker. 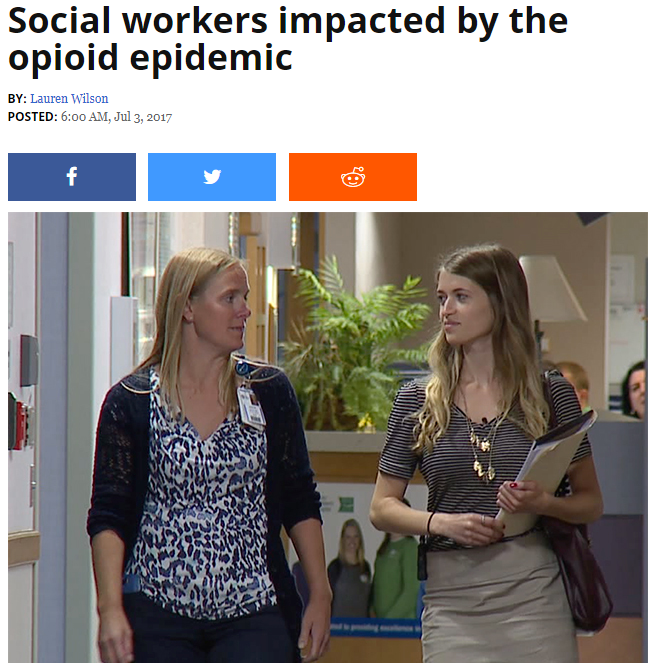 "The most difficult is managing everything that is thrown at you, it's a pretty unpredictable job," said Lauren Brown, an Intake Case Worker at Summit County Child and Family Health Services. Brown is constantly putting out fires and working with families in some of their most traumatic and vulnerable stages. Already there this year, a two-year-old overdosed in Akron, and a one-year-old died after getting his hands on heroin. As people locally struggle with opiate addiction in various ways, the Republicans have considered cutting substance abuse and mental health services from their health care bill through the health insurance plan itself and through cuts to Medicaid. Instead, they propose to give further tax cuts to the very rich. Ohio is a red state that has consistently elected Republicans to office except in their cities.